We offer elevator belts to readily meet all OEM specifications including: heavy duty black belts, PVC belts, oil resistant belts and high temperature belts. 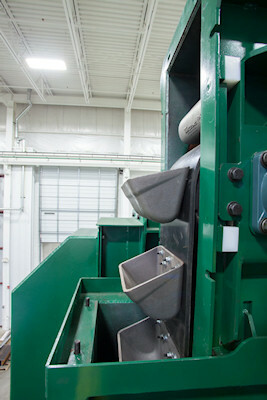 Elevator buckets may be purchased separately in large or small quantities. We manufacture belt/bucket assemblies for all sizes and makes of Bucket Elevators. Same day service on most sizes.